The Jeffersonville Urban Enterprise Association (JUEA) is an independent, nonpartisan, nonprofit organization with 501 c 3 status, established to direct enterprise zone activities and reinvestment. 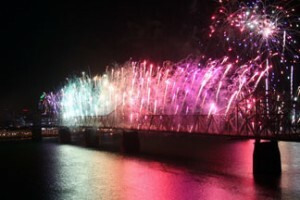 The JUEA is managed by a 10 member board appointed to a four year term by the Jeffersonville City Council and the Mayor. To find out if you’re part of the zone – click here. Better yet, check the Interactive Map. An enterprise zone is a designated urban area in need of community and economic revitalization. Enterprise Zones were first established in Indiana in 1983 under lC 5-28-15 and are overseen by the Indiana Economic Development Corporation. The Jeffersonville Urban Enterprise Zone (JUEZ) is an area within the City of Jeffersonville, Indiana, in which more than 25% of the resident households have incomes below the poverty level as established by federal guidelines. The Jeffersonville Urban Enterprise Zone (JUEZ) was established in 2000, and its existence was renewed for 10 years by a Resolution of the Jeffersonville City Council in 2009. 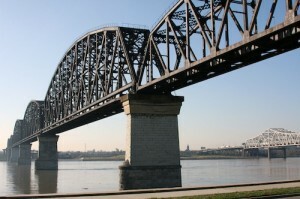 Its geographical boundaries basically encompass downtown and historical Jeffersonville. Also located in Jeffersonville is the River Ridge Urban Enterprise Zone (RRUEZ), which comprises the River Ridge Commerce Center. 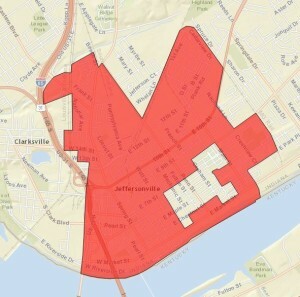 These zones are managed by the Jeffersonville Urban Enterprise Association (JUEA). A property is designated as an urban enterprise zone only at the request of the property owner or developer. The Urban Enterprise Zone offers numerous opportunities to registered businesses including employee tax credits, tax exemptions for operating supplies, and reduced sales tax rate for patrons. If the request is approved, the city grants tax reductions over a ten-year period. In turn, businesses remit a percentage of their tax savings to the local Urban Enterprise Association (UEA) who manages these funds for the benefit of the Zone. The Urban Enterprise Zone program has a proven track record of encouraging private investment, creating new jobs, promoting urban revitalization, and increasing the supply of affordable housing. Direct financial assistance is also available through matching grant programs such as the Front Porch Project and Storefront Improvement grants. The enterprise zone benefits businesses and residents through community and economic revitalization. Zone businesses benefit from tax incentives and a favorable climate for business reinvestment. Zone residents benefit from increased employment opportunities as well as reinvestment. Together, the community benefits from an enhanced quality of life. How does the JUEA work? The JUEA is managed by a 12 member board appointed to four year terms by the Mayor and City Council. Funding for zone programs come from participation fees paid by JUEZ business taxpayers who take advantage of zone tax incentives. These businesses utilize their tax savings for business reinvestment and for reinvestment in the zone community through the JUEA. Programs are determined by the board with public input and may be any activity that improves the JUEZ. The board also determines the level of participation fees, makes recommendations concerning boundary adjustments and business disqualification, and may request waivers of certain state regulations within the zone. Participation fees are 49% of total tax savings. Businesses, investors, and residents of the zone all benefit from JUEA involvement and the entire community benefits from improved economic health and quality of life. However, a business or resident of the zone is not required to participate in zone programs or file for specific benefits. JUEA uses payments collected from participating businesses for zone community and economic development projects.